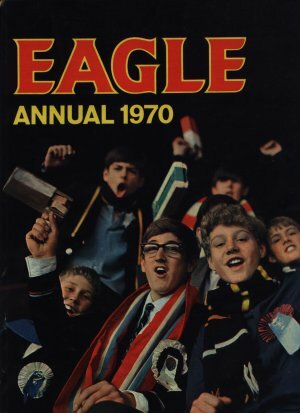 Eagle Annual 1970 grows in size, physically, but shrinks in the number of pages. Aeromodelling gets a good review as does the subject of collecting picture cards. The regulars of Dan Dare and Guinea-pig show up as usual. Dimensions : 23cm x 30.5cm with 116 pages.